Thank you, Principal Seitz, for hosting us here at Adams High School, and to the choir for that performance. I want to thank Dr. Spells for being here this evening, and for the work you and the School Board are doing to prepare South Bend’s next generation. I was delighted to learn that South Bend Community School Corporation was recently selected for the College Board’s national AP Honor Roll for their commitment to expanding access to Advanced Placement courses. Our individual students and teams in academic and athletic competition throughout South Bend Schools make our whole City proud. I want to thank President Scott and the members of the South Bend Common Council for being here tonight, and Clerk Kareemah Fowler for your leadership. And thanks to everyone who took the time to join us this evening, here or online, so that I can share some significant developments in our City with you, and discuss the future. Before touching on many things that have taken place in the last year, I want to begin by acknowledging what took place here last month. The flooding our community experienced in February represents the highest verified river levels in recorded history. The St. Joseph River crested at 12.7 feet, nearly two feet above the previous record and seven feet above flood stage. I want to credit our team for their quick action throughout the incident, from first responders on rescue and traffic to Public Works teams clearing grates and catch basins, from 311 call-takers working extra hours to the Innovation team creating an online map with closure information—almost every part of the City team played some role. I appreciate visits to our hardest-hit areas from Senator Donnelly, Congresswoman Walorski, and Governor Holcomb, and we will continue to work with state and federal agencies going forward. The County Emergency Management Agency is gathering information on flood damage that will be important for us to qualify for federal aid in the months ahead. I also am thankful for the efforts of the Red Cross, Team Rubicon, and numerous other groups and local companies that stepped up to help. Going forward, we will assess damage to City properties like our river trails, while supporting families seeking to get back to normal as quickly as possible through connections to resources and expedited support from the Building department, and we will also be engaging with impacted neighborhoods for an after-action review to look at lessons we can learn for future emergencies. This river flood exceeded the 100-year mark and by some measures entered the range of a 500-year flood. As we all know, it is less than two years since other parts of the City were impacted by flash foods due to extreme rainfall. At that time, they called it a 1,000-year event. Either we have run some extraordinary odds these last few years, or something is changing. I now consider it probable that increased rainfall in our area, as predicted for decades by climate scientists, is here to stay. For South Bend, climate issues are no longer a political football. They are an on-the-ground reality that we will need to plan for, even if it means changing some of our assumptions about land use and disaster preparedness, and I have directed our leadership team to begin assessing how our City should think differently about our future through the lens of climate adaptation. This evening I would like to share with you some reflections on the progress we have made, and a preview of moves to come. The bottom line is this: our City’s momentum right now is extraordinary. Our city has a lot to celebrate—and we also have our work cut out for us. What I will share tonight is the result of dedicated work by over a thousand city employees, who serve every day guided by the values that define our administration: excellence, innovation, accountability, inclusion, and empowerment. The work of our employees, wherever they serve, from a desk in the County-City Building to a patrol car on the far South Side, all goes towards one unifying mission: we deliver services that empower everyone to thrive. It would take me all night even to name all our services in any level of detail. In fact, for the first time, this year I can tell you the exact number of distinct activities that we undertake as a city. As part of our Priority-Based Budget process, we have assessed and catalogued the work of this administration in ways never possible before: and identified 851 discrete lines of effort in this city. Another way to look at it is to consider the number of calls handled by our 311 operators. As of last month, when we celebrated the five-year anniversary of 311, our operators handled 685,000 calls on issues ranging from water bills to animal control calls. Tonight will represent just an overview of the many areas where the City is advancing. The essential role of any government is to ensure the safety of its residents. In some ways, our public safety landscape has never been as demanding as today. Our community’s 911 service, as has been integrated into a single center covering St. Joseph County, overseen by a partnership between South Bend, Mishawaka, the County and other agencies. The transition has been complex and difficult, but under the new director, the financial and operational picture there is coming into clearer and clearer focus. Each agency has brought something to the table, including Mishawaka paving the way for the new director, and South Bend’s IT personnel helping manage GIS issues so that dispatchers have accurate mapping data for the community. Meanwhile, our Police Department has been adding to its ranks after several retirements and departures created a need for more personnel and a historic opportunity to shape the department for the future. We recently swore in some of our newest officers, a talented group of diverse men and women whose backgrounds included prior law enforcement experience, college education, and military service. Our subsequent application cycle drew 136 applicants, including 19 women and almost 35 percent racial or ethnic minorities, moving us closer to the goal of a department that fully reflects the community we serve. I continue to urge anyone who cares about policing effectiveness to encourage talented applicants from all background to consider a career in law enforcement; all of us must become recruiters. The growth in the department is timely. On one hand, overall major crime fell by about 1% compared to the prior year. But at the same time, we have seen an unacceptable number of violent crimes in our city, including three heartbreaking deaths of teenagers this year, a rise consistent with recent national trends. While crime rates in our City remain much lower than when I was a child here, this is cause for concern—and we must work hard to reverse the recent uptick and make sure South Bend is an exception to the national pattern. The centerpiece of our strategy on gun violence will remain the Group Violence Intervention, or GVI, now entering its fifth year. The GVI strategy rests on communicating directly with individuals found most likely to shoot or be shot in our city. The majority of people we have engaged through this effort have gone on to stay out of trouble, largely thanks to our partnerships with social service agencies. This year, we are adding street outreach workers who can help connect people to services and break cycles of violence and retribution. The GVI is a true community partnership, with not just law enforcement but the Community Foundation, social services like Goodwill, and all levels of the legal system involved. Meanwhile, we will soon be asking the City and County Councils to approve a renewed partnership with the Prosecutor’s office to support joint and specialty units serving public safety in our area, like the Metro Homicide Unit and Special Victims Unit. Our city is safest when community members and police are partners to keep our neighborhoods safe. That’s why we continue to focus on community policing. Last year, officers undertook over 7,000 foot patrols, attended 168 neighborhood meetings, and conducted “Coffee with a Cop” outreach opportunities around our community. Meanwhile, the number of incidents leading to a use of force has gone down by a third in the last four years, and the number of investigations and complaints against police officers has fallen dramatically. 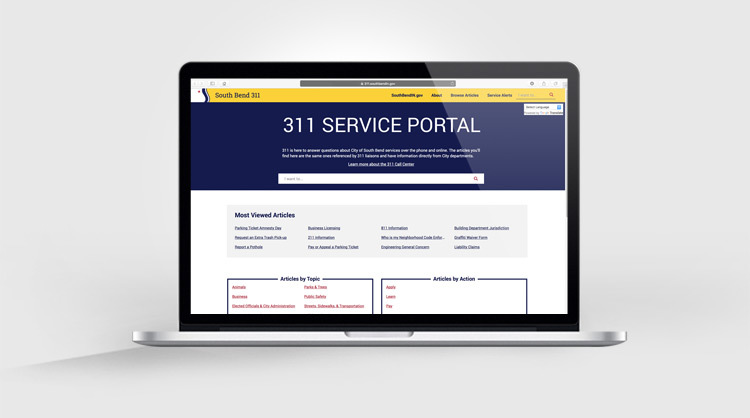 In April we introduced an online Police Transparency Hub, an extension of our Open Data policy, so any resident can easily get facts on everything from crime rates to community complaints and officer commendations. And to maximize accountability and transparency, this year will bring the implementation of body-worn cameras to provide more detailed records of what takes place during calls for service. Meanwhile, fire suppression and emergency medical services continue to be among the best in the state. We had zero fire fatalities in 2017, reflecting not just good fortune but preparation, and we will continue to work on community risk reduction, from high school EMT training to distributing smoke and carbon monoxide alarms for homeowners. The world-class Fire Training center is training a new generation of fire fighters, including a recent hire group that is 28% minority, 20% veteran, and 16% female. A new Station 4 is just weeks away from opening on the West side, and construction will begin this year on a new Station 9 in the River Park area, after extensive dialogue with the neighborhood to make sure we identified the right location. Looking ahead, the department will also be piloting a community paramedicine program, to help frequent users of EMS services find a medical home. We can unlock better outcomes and major taxpayer savings through alternative methods of providing EMS service to individuals falling through the cracks of our mainstream hospital and insurance system. Today, the lines have begun to blur between physical safety and public health, especially where addiction and mental health are concerned. While there is no City department for health, we are committed to working closely with the County Health Department and other players on the major public health challenges of our time. One striking example is that of opioid use and addiction, which has now overtaken vehicle accidents and homicides as a leading cause of preventable death in our community. While we have not seen the runaway growth in overdose deaths that affect some parts of Indiana, the rates are unacceptably high. Our EMS personnel delivered nearly 500 doses of NARCAN in 2017, double the previous year, to save patients with life-threatening overdoses. We are in active partnership with the clinical and law enforcement community to make sure we do more, because it will require everyone to step up. In particular, we are calling on more area physicians to become certified in the “medication-assisted therapy,” a gold-standard approach in outpatient care to help patients overcome opioid addiction. And we urge all residents to participate in pill drops that get surplus prescription medicines out of our medicine cabinets and disposed of safely. In addition, as information comes to light concerning unethical practices related to the production and distribution of opioids, South Bend will take legal action against unscrupulous companies, in order to recover resources to help address this issue. Getting less attention nationally is the issue of synthetic cannabinoids, sometimes called synthetic marijuana. These products, sometimes available in convenience stores and gas stations, are much more dangerous than actual marijuana. I want to commend the St. Joseph County African American Democratic Coalition for helping to raise awareness on this issue, and thank the Council for passing an ordinance banning local businesses from selling this product. We will continue to closely monitor this issue, and call on all business to do the right thing. Closely related to issues around substance abuse and addiction are issues of homelessness in our community. A compassionate city lifts up those most in need, and seeks solutions for its most vulnerable. Indeed, today our City is undertaking what may be the strongest concentration of resources and effort on the issue of homelessness since the Center for the Homeless was first established in 1988. Our office convened a working group on homelessness last year, and its report is the framework for our administration’s policy going forward. The group called for enhanced access to permanent supportive housing, the establishment of an intake center linking the chronically homeless to needed services, and enhanced coordination and data-sharing. The administration is already at work on these priorities. The City-sponsored Project WARM, operated by Hope Ministries, has provided crucially needed bed space in winter months, even as we work on longer-term solutions for those who are hardest to house year-round. We partnered with South Bend Heritage Foundation to open the FUSE Center Oliver Apartments, which opened in November. This facility rests on an approach called “housing first,” recognizing that residents facing the greatest challenges must first have a roof over their heads before we can address other obstacles. The facility hosts 32 men and women, and at last count, we learned that twelve of those 32 had previously resided under the Main Street bridge. Based on this success, we are partnering with the Center for the Homeless to expand permanent supportive housing access within our community. The City has also committed $1.4 million to establish the intake or gateway center, partnering with Ivy Tech to re-use modular classrooms that they no longer need. Operated in partnership with Hope Ministries, and developed with guidance from federal leaders, this Center – the first low-barrier shelter open in South Bend – will provide transitional housing and supportive services for formerly homeless individuals as we work to move them into long-term housing. City staff are now finalizing the location for the Gateway Center, working closely with agency partners and local institutions. Just this Monday, volunteers from La Casa de Amistad partnered with Hope Ministries and Project WARM to provide municipal IDs to those experiencing homelessness, eliminating a common barrier to housing access. We are also close to getting certification for a longstanding goal of this administration—to functionally end chronic homelessness among veterans in this city. Another area of public health deserving community-wide attention is the issue of lead exposure in children. City drinking water is safe, but we do face the issue of lead paint and other pathways to lead exposure in houses. The City is participating in Lead Affinity Group to tackle this issue, partnering with the University of Notre Dame, IU South Bend, the Near Northwest Neighborhood, the County Health Department, and Bowman Creek Educational Ecosystem. This group is hiring community health workers to canvas the hardest hit areas to encourage testing. The City is joining the national Green and Healthy Homes Initiative, a nationally recognized effort with a track record of successfully managing lead remediation in cities across the US, making sure that we are poised to take advantage of opportunities for federal and state funding. We must ensure every child is tested for lead, and that parents of any child exposed beyond the CDC action level of 5 micrograms per Deciliter get the information they need. For that reason, I am pleased to announce that the City will partner with South Bend Community Schools, and the County, beginning next school year, to make testing available for every child enrolled in our public schools. Only with this information can parents—and the community as a whole—fully address this public health issue. What all of these health challenges have in common is that they can’t be dealt with by one agency alone. They require partnerships between multiple players, and the City is ready to do our part. The good news is that South Bend is already becoming a healthier community. Recently, researchers from the University of Missouri Medical School evaluated the impact of the smoking ban ordinance that went into effect last year. The researchers found a 92% reduction of particulate matter air pollution in bars just five weeks into the ban. Before, full-time bar employees were exposed to 4 times the EPA limit for particulate matter. After the ordinance, levels dropped well below the limit. Since particular matter increases the risk of heart disease, heart attack, and death, it is no exaggeration to say that this policy is now saving lives in our city. If public safety and health represent the social foundation of our city, the physical foundation is just as important. That’s why infrastructure investment has been a key focus for the administration. The most visible change, of course, has been the completion of the downtown stage of our complete streets policy, known as Smart Streets. The Smart Streets initiative has resulted in safer, more appealing streets, and has already been credited with helping to attract over $90 million in private investment—a nearly four-fold return on the public investment. The converted JMS Building, the Aloft at Liberty Tower, the LaSalle Apartments, the soon-to-be-opened Courtyard Marriott, and many more developments signal renewed energy flowing into our downtown core—and more job opportunities for residents in every neighborhood. Of course, downtown is not the only area to see investment in streets. The Western Avenue Corridor saw a major lift with a $3 million investment bringing new curbs, sidewalk, pavement, trees, and other enhancements to the West Side, interacting wonderfully with community-led efforts like West Side Wednesdays to build pride and energy in the neighborhood. That project received the Indiana Chapter of the American Planning Association’s 2018 Hoosier Planning Award for Outstanding Implementation. Meanwhile, last year saw the completion of the Olive and Sample overpass, a major improvement for traffic flow on the West Side. This fall, we will completely rebuild the intersection of Lincoln Way West and Charles Martin Sr. Drive, making it safer for pedestrians and cars, removing unnecessary paving and adding new sidewalks, street trees, and lighting to this key West Side node. 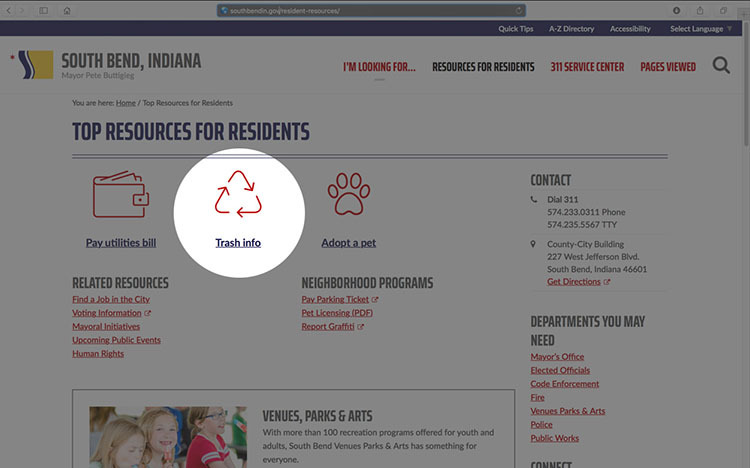 Technology continues to transform how we deliver basic services, from a paving website with information on streets planning, to iPads on leaf trucks to make our pickup more efficient, to automated arms on solid waste trucks helping to save money and dramatically reduce worker injury rates for trash pickup. We will continue applying new technologies to help us do our job, like a forthcoming pilot using iPhones mounted in dashboards to track potholes and road damage. Speaking of potholes, our Streets crews have been unusually busy this year, filling over five hundred potholes a day on average and over 17,000 this year already. Our team has been relentless in addressing the impact of this year’s fierce winter on our roadways. Less visibly underground, work continues on our Long Term Control Plan, designed to improve our sewer system in accordance with the Clean Water Act. Last year, I made the case in Congress for federal regulators to take account of affordability, since we do not receive funding to carry out this work. As I testified in May last year before a U.S. House Subcommittee on Water Resources & Environment, the current consent decree places tremendous burden on ratepayers, especially low-income homeowners in our city. But thanks to our City’s smart sewer system, we have been able to design a more effective way to make these improvements with a combination of traditional and green infrastructure. If we get federal approval, it will save hundreds of millions of dollars for South Bend ratepayers. To thrive tomorrow, we must also pay attention to a new category of infrastructure. Residents need to know they can rely on good digital infrastructure, and we need to make sure it is delivered equitably to all residents. That’s why we established a canopy of WiFi access downtown in 2015, and later expanded access to the Martin Luther King Jr. and Charles Black Centers. Today I can announce that we plan to develop this WiFi access along major corridors extending from downtown, to benefit residents on stretches of Western, Lincoln Way, Mishawaka, and Miami. And just last week we announced a partnership with the St. Joseph County Public Library and Metronet to pilot the Martin Luther King Jr. Center as a technology site with computer and document services to help bridge the digital divide. Digital and transportation infrastructure came together last summer as we announced a partnership with LimeBike, bringing dockless bike sharing to South Bend. The launch cemented our position as a Beta City where companies can pilot new technologies before scaling to larger cities, giving us the advantage of early adoption. Since the program launched, there have been 210,000 trips taken by 28,000 riders. And even in our coldest periods this year, not one winter day has gone by without someone riding a Limebike in South Bend. This program, which cost no taxpayer money, has enhanced mobility everywhere from our college campuses to the last mile for low-income commuters getting to work. We as a community need to use this technology responsibly, especially when it comes to where the bikes go at the end of a ride. We depend on users to make responsible decisions on where to leave shared bikes—out of the right-of-way and in appropriate spaces. 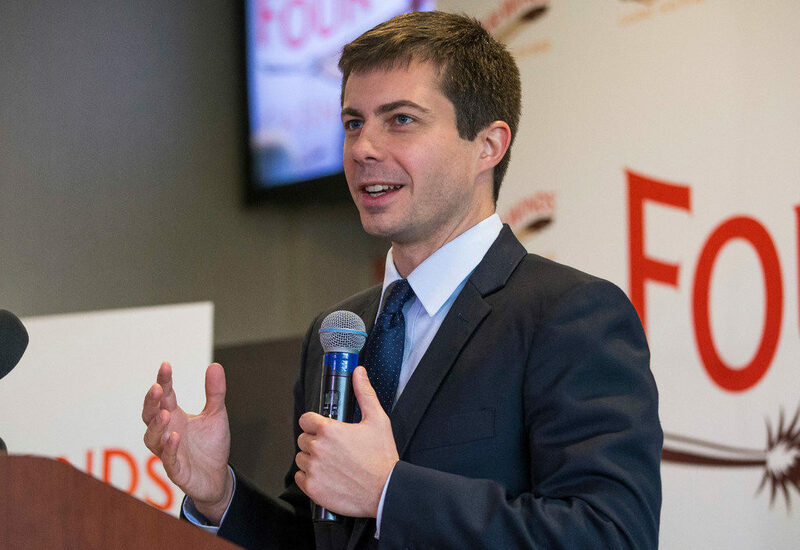 Last month we received the very exciting news that South Bend was named a Champion City in the Bloomberg Mayors Challenge, one of only 35 cities selected from a pool of over three hundred in this major competition. Over the next six months, we’ll be piloting a solution for reliable, affordable transportation for workers, helping to tackle one of the main barriers to finding and keeping a steady job. We’ll then be eligible to advance to the next round, competing for a $1 million or even $5 million prize. It’s another indication that that South Bend is measuring up well alongside some of the best-known cities in the country. In addition to finding better ways to get around our city, we are seeing expanded options for how to get between cities. The return of American Airlines to South Bend is a major vote of confidence in our regional economy, with new twice-daily flights to Dallas-Fort Worth and Charlotte starting in June. Meanwhile, the ride to Chicago is going to get much quicker, thanks to the South Shore’s double-tracking project at Michigan City, and our own local commitment to help shift to a quicker route into town. We are carefully assessing the economic impact of different possible sites for a future station, and within days I expect to receive the final report from experts helping us assess the costs and benefits of various options, from an alternate route into the Airport to a whole new station, near the current route, or even in our downtown. All this is inseparable from the continued pattern of extraordinary economic growth in our city. City-supported projects created 675 jobs in 2017, a number likely to rise as projects are completed. Counting only the projects that involved our Department of Community Investment, we saw over $200 million in private investment in our community in 2017, supported by $13.6 million in TIF funding, $9.6 million in tax abatements, and $1.2 million in IRF loans to assist growing businesses in South Bend. In a City that saw unemployment approach fourteen percent earlier this decade, this year we saw it dip as low as 3.1 percent. We even saw unemployment in South Bend go below the national average some months. We’ve also seen a reduction in the poverty rate of 1 percent in a three-year period. This may sound like a small number, but in a community our size that represents one thousand residents lifted out of poverty. More people are choosing to live in the heart of the city, in developments like the former LaSalle Hotel and the Studebaker Lofts in the JMS Building. We’re not far off from the opening of the downtown Marriott, and the Aloft Hotel started welcoming guests last fall. The Ivy at Berlin Place and the Hibberd Building will further expand the number of residential units in the downtown area. And at the corner of Jefferson and Main we’ll soon see the first new downtown office building in nearly three decades. The City has acted to protect South Bend’s vibrant architecture, acquiring the historic Lafayette Building for restoration and re-use, and investing in an innovative façade rehab on Studebaker building 84. Eddy Street Phase II has begun on the near northwest side, and we can look forward to South Bend Chocolate’s Dinosaur Museum and new development on the Wharf site soon. The Portage Prairie Business Park continues to expand to accommodate distribution demand, and the progress in our emerging tech sector at places like Ignition Park and the Renaissance District has attracted visitors from Ohio Congressman Tim Ryan’s Comeback Cities Tour, to the inaugural meeting of Los Angeles Mayor Eric Garcetti’s Accelerator for America project, to a special visit from Facebook CEO Mark Zuckerberg. In addition to vibrant development downtown, the City has been active in neighborhoods across South Bend, from streetscape improvements and award-winning urban planning in the Southeast neighborhood, to the restoration of the historic Armory building on the east side of the river, to the leveraging of over $150,000 in improvements to West Side businesses through the West Side Main Streets façade grant program. Inclusive economic growth isn’t just about buildings. It’s about people. That’s why we are developing resources to help with skills and training. Over one hundred South Bend residents advanced their careers through Pathways grants to get better paying jobs and improve their quality of life, and we’re growing the program in 2018. At the other end of the cradle-to-career path, we are partnering with area early child providers to help them take advantage of expanded state funding, with a city commitment to partner with United Way and Ready to Grow St. Joe to boost the quality of our pre-kindergarten providers. The city is offering grant funding to help more South Bend children access high-quality pre-K experiences and a better start in school and in life. It is also my pleasure to announce that the nationally recognized Drucker Institute is working with our Department of Innovation and Technology to design a lifelong learning initiative for the city. This project will help our community enhance equity and open opportunities for residents to gain new knowledge and develop their skills. You will be hearing much more about this effort in the months to come. As our economy grows, future policy will reach beyond simply trying to get more growth and jobs. When businesses seek taxpayer help, it is an opportunity to shape that growth according to community priorities like inclusion, so that the rising tide in this area really does lift all boats. The Department of Community Investment opened 2018 by establishing the new Division of Engagement and Economic Empowerment. Already the division has hosted an Inclusive Economies Summit with the Federal Reserve of Chicago; joined the regional Bank On Alliance to connect low- and moderate-income residents with credit and banking services; collaborated with community organizations and stakeholders on a qualitative housing study; and organized a community organizing training session with the Near Northwest Side Neighborhood to promote engagement and civic leadership. Residents and our business community can expect to see continued focus on making sure that we have not just good topline numbers on the economy, but a real track record of making residents from all walks of life better off. The City is an employer too, and we seek to lead by example as an employer of choice. Starting this January, we now provide eligible City employees with six weeks of 100 percent paid parental leave following the birth or adoption of a child. This policy gives new parents time to bond with their child, adjust to their new family situation, and balance their professional obligations. The United States is the only industrialized country that does not mandate leave for new parents, but employers can step up. We urge other local governments and businesses to follow our lead and make this benefit a priority, just as we seek more partners to join us in elevating the wages of the least-paid City employees. The city’s employee clinic, opened in 2016, has been good business as well as a good benefit. Amid rising national health care costs, we actually saw our healthcare spending go down by hundreds of thousands of dollars. Most importantly, we are seeing the benefits of a healthier City team. It’s not just about what we do, but how we do it—as efficiently, transparently, and effectively as possible. Our legal team has quietly upheld the values of accountability and transparency, processing 2,914 requests for public information last year alone (with not a single violation). And the law department’s efforts on training and compliance citywide are part of why the City’s settlements and legal claims paid have gone down dramatically over the last five years. 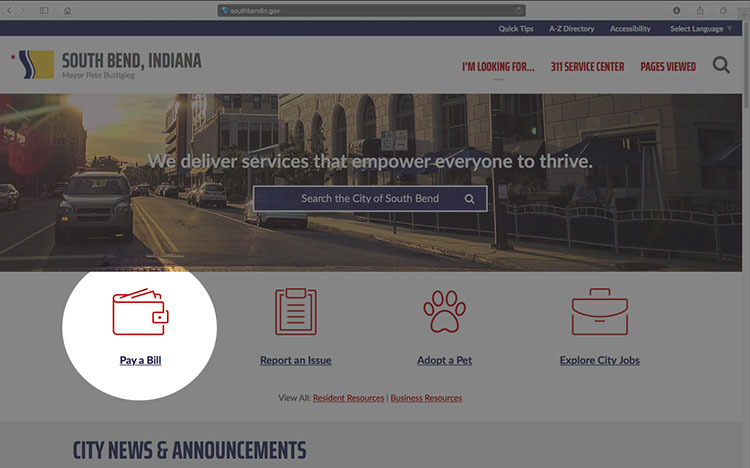 Innovation and IT staff have worked on projects ranging from helping the 311 center drive average response time to 9 seconds, to launching the SB Stat 2.0 program to help us manage Parks, Police, Utility, and Fire Department initiatives. To keep up our progress, South Bend will need to be creative about the conditions that support growth. Gone are the days when economic development consisted solely of luring big factories from other states. Incentives and deal flow will always be part of the story, but when it comes to economic development, the lesson of this century has been the importance of quality of place. 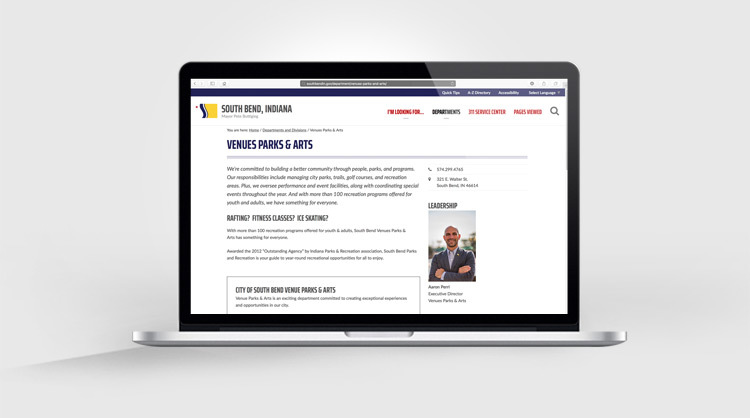 2017 was the first year for the newly created Venues, Parks, & Arts Department, with a mission to “inspire a more livable South Bend for all.” By bringing functions from parks and recreation to management of the Morris and Century Center under one roof, we have optimized our team to make sure this city has the best public spaces and resources for a vibrant life year-round. The new department already has its hands full with MySB Parks and Trails, the largest investment in our shared public spaces in the City’s history. Without raising taxes, and by leveraging $14 million in outside funding in addition to the City funds allocated by the Council and Redevelopment Commission, we are dramatically enhancing our city’s shared public spaces. It isn’t just because we deserve great parks and recreation assets. It’s also because we have learned that great places support the health, safety, equity, and economy of our community. The plan will touch 35 parks and nearly 20 miles of trails as it re-envisions our community’s relationship with the St. Joseph River, our green spaces, and our parks facilities. South Bend residents participated in this planning through thousands of pieces of feedback, hundreds of hours of public meetings, and dozens of resident engagement sessions, something for which we received the Indiana Parks and Recreation Association’s 2018 Inclusion Program of Excellence Award. Some projects are already complete, like the welcome patio at the Martin Luther King Center, the splash pad at Fremont Park, and the basketball court at Kennedy Park. Other plans will come online later this year. One of our flagship projects, the Charles Black Center, will reopen this fall after a renovation and expansion with more basketball courts, a larger fitness center, and a bike shop. This $4.5 million investment in the West Side is a statement that all residents deserve great parks. Through the generosity of the Pokagon Band and other community partners, Howard Park will be re-envisioned with more event space, a water feature, and a new recreation building. And we’ll open up a second dog park at Rum Village, and across the system, we’ll be modernizing restrooms and park accessibility. With an eye toward history, we’re improving the entrance and refurbishing headstones in the City Cemetery. And community volunteers managed to raise nearly $650,000 in private contributions to restore the Studebaker Fountain, which will find a new home in Leeper Park in 2019. Investment in trails will make them more friendly to walkers, joggers, and cyclists. As part of our focus on equity, I have committed to join the 10-Minute Walk campaign from the Trust for Public Land. It’s a recognition that our community will be safer, healthier, and happier if all residents are within a 10-minute walk of a park. Right now 63% of our community meets that goal, but we’re moving closer to our goal through the My SB Parks & Trails plan. We aim to boost this to 75% by 2020, through investments throughout our system. A great city has great events, too, and the first annual “Best. Week. Ever.” was a resounding success. Over 50,000 attendees came to events throughout the week to celebrate the arts, music, and culture of the city. We’re already looking forward to this year’s version, when I am expecting best “Best Week Ever” ever, starting May 28. The goal of all of our safety, infrastructure, and economic work is for our residents to thrive in all of our neighborhoods. Neighborhoods quality starts with the basics, like safety and upkeep. The Department of Code Enforcement has continued to add to its toolkit for promoting vibrant, healthy neighborhoods in the City using data and GIS mapping. By focusing on neighborhood outreach, we decreased demolitions and boardings by over 40 percent. Code’s NEAT crews picked up over 3.5 million pounds of litter and debris in 2017. And Animal Care & Control doubled their number of pet adoptions and increased pet licensing by a third, while reducing the euthanasia rate for cats and dogs. But we’re not just cleaning up our neighborhoods—we’re building whole new ones to meet the needs of a growing city. During the summer we broke ground on the Village at Riverwalk, thanks to years of work preparing a site formerly used for bus maintenance. The development, which will include 43 single family residences and 48 townhomes, represents our City’s growing ability to turn and face the great river that gives our City her name. Meanwhile, with support from Council members, we have engaged experts to launch a housing market study that will help us to better understand what kinds of housing our residents want and can afford, information we will use to guide our housing priorities in the coming years. We are also working with Council to update zoning rules to support revitalization in all different kinds of neighborhoods and keep red tape from getting in the way of diverse types of housing. Meanwhile, local social entrepreneurs are working to figure out how to provide potential homeowners financing for lower-priced houses where gaps exist in the existing finance landscape. And we’re taking a fresh look at the funds we receive from the federal government to see how we can best use those dollars to empower our residents and advance more vibrant neighborhoods. To keep all of this progress going, we must continue to be good stewards of taxpayer funds. We continue to balance our general fund budget and maintain healthy cash reserves. Just today, we received word that South Bend was again re-affirmed on our AA bond rating, one of the best in the state, and the only city outside the Indianapolis area at this level. 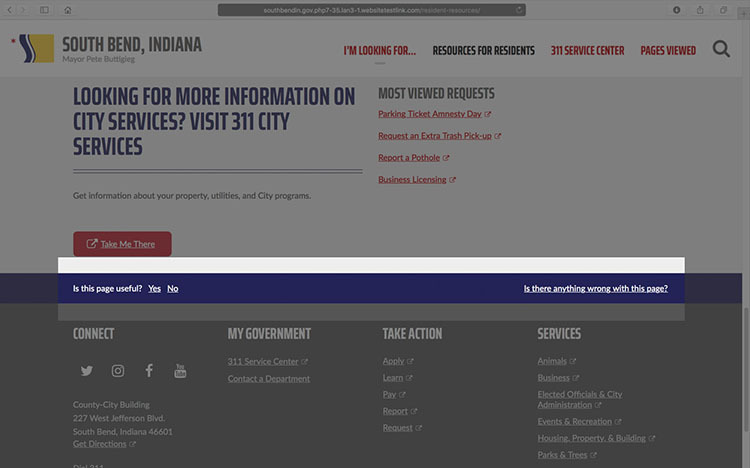 Our finance team was the only city in Indiana last year to all three awards from the Government Finance Officers Association, for comprehensive reporting, budget presentation, and transparent popular annual financial reporting. Staying in such good financial shape will not be easy. We’re just one more budget cycle away from 2020, when changes in state law on property taxes will cost us $2.4 million in general fund and parks revenue, plus reductions to TIF. Further fiscal pressure is coming from litigation around so-called “dark stores.” A loophole in Indiana law has allowed certain big-box stores to argue that their properties should be assessed, for tax purposes, based on the value of empty, abandoned stores in the same area. Even though this defies common sense, the strategy has been used successfully in many places, including South Bend. Both Kohl’s and Meijer have sought to take back some of what they have already paid in taxes. We will closely be watching whether other big box chains in the area decide to pursue this strategy, since it could lead to reduced funding for services from police and fire protection to street and sidewalk improvements. The City is being proactive to stay ahead of this and other financial pressure. We are consolidating our facilities and purchasing divisions to help capture cost savings. We’re continuing to automate and enhance City services for maximum efficiency, exploring further partnerships with the County and other agencies, and continuing to drive savings in employee healthcare costs. And we will use technology to enhance our cost-effectiveness, such as when our innovation team helped first responders digitize radio services and introduce cellular solutions for security and fire alarms—moves that will save the City over $300,000 per year. We anticipate several other positive factors that can balance some of the fiscal pressure ahead. We negotiated a unique and generous agreement with the Pokagon Band of Potawatomi Indians that entitles the City to 2% of the net win from the newly opened Four Winds South Bend casino, which will yield at least $2 million per year, with the first payments expected in January of 2019. And when it comes to revenue, the best source of all is economic growth. The more valuable our property and the more income our residents make, the more resources will be available to provide top-quality services as a city—without raising tax rates. We’re growing more and more quickly, which should mean more revenue in the long run. But much depends on the way property values are assessed. In recent years, overall net assessed value in our city has not reflected the economic growth we have seen around us, and we continue to hear from residents concerned about assessments that are either too low or too high. The City has no direct control over assessed valuation, but we are in frequent communication with the office of County Assessor on these concerns. According to state data, our county is in the bottom quartile of both accuracy and equity, among the 20 largest Indiana counties. One outside analysis estimated that improving accuracy could mean several million dollars a year in increased revenue for the City, County, schools, and library. Making assessments more fair and accurate will be complex, because the issue is rooted in a number of problems that may go back more than a decade. With a high level of urgency, the City has asked the County Assessor to embrace a range of help being offered from multiple sources, including the Penn Township Assessor, the County Auditor, the City administration, a team of nonprofit consultants, and researchers at the University of Notre Dame, to help make sure assessments are as fair and accurate as possible for all residents. We spend considerable time and effort focusing on what can be quantified, but we are a city that also knows the power of symbols. In June, we unveiled a life-sized bronze statue of Father Ted Hesburgh and Dr. Martin Luther King Jr. on Main Street, created by local artist Tuck Langland. The statue has already served as a focal point in several marches and events. I encourage everyone to take some time on your next visit downtown to join hands with these great leaders and reflect on how we can live up to their legacy today. The two men look, symbolically, on the seat of justice in our County Courthouse, and it is a fitting complement to the City’s actions in recent years to name a prominent downtown roadway as Martin Luther King Boulevard and recognizing a City holiday in honor of Dr. King. Of course, inclusion is about a lot more than symbols. 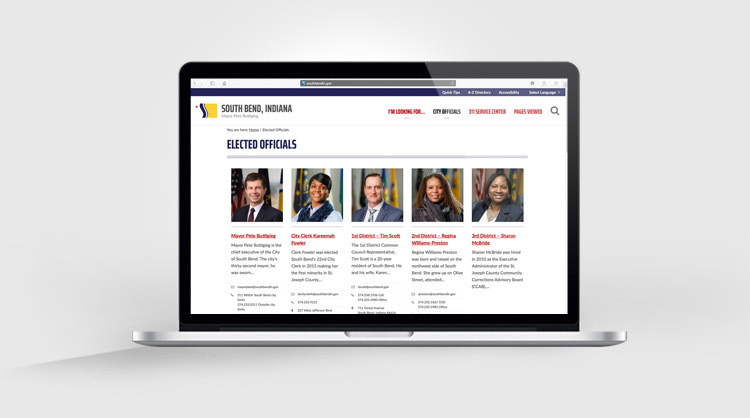 Our office has made a concerted effort to increase the diversity of mayoral appointees to boards and commissions, and the City is implementing new tools for tracking diversity in our hiring and promotions. Our Office of Diversity and Inclusion has brought renewed focus to diversified purchasing. We are finding new ways to identify certified minority- and women-owned businesses. And this year we are commissioning a diversity purchasing disparity study to collect data so that we can be accountable for achievement and progress when it comes to doing business with diverse vendors within the city’s marketplace. The Office also partnered with the Prosperity Now initiative to create a Racial Wealth Divide Profile, laying out honestly the statistics around our community’s economic and racial gaps. To kickstart action on the racial wealth gap, our team has held a series of asset mapping meetings, in which community members help identify entrepreneurship opportunities in our neighborhoods. We are working to practice what we preach as a City when it comes to inclusion, and the same is true for sustainability. We’ve invested in cleaner vehicles, rain gardens, solar panels, recycling and composting, and green infrastructure. When it comes to climate change, federal inaction compels cities to lead instead. South Bend will do our part. Last summer we joined the U.S. Climate Mayors in pledging to support the climate goals set out in the Paris Agreement. Tonight I am announcing that South Bend will join the Global Covenant of Mayors for Climate and Energy. Joining this international coalition means we commit to measuring greenhouse gases, setting ambitious reduction goals, and creating a community-wide plan to cut emissions. We are already underway toward some of these goals. The City’s clean fleet of 218 hybrid, natural gas, or electric vehicles has already saved hundreds of thousands of dollars. Our CNG solid waste trucks alone have already saved 1,600 tons of greenhouse gases and over $200,000. And energy efficiency savings contracts have saved tax money and delivered the equivalent of taking 95 homes off the grid. We’re even piloting an effort to take bio-gas from our Solid Waste Treatment Plant and use it to power our CNG fleet and equipment. This year the City and other interveners got involved in Indiana Michigan Power’s request for a rate increase, helping to limit monthly rate increases by more than two thirds of the requested amount and reducing the burden on low-income ratepayers. We also signaled that the City will view future rate increases with climate in mind, and challenged I&M to be part of the solution. We will continue to find ways the City can lead on this issue, including another measure I am pleased to announce this evening: we are installing two new electric vehicle charging stations at the corner of Lafayette and Jefferson, right across from the County-City Building downtown. This installation, which should be complete by the end of this month, is a pilot project for future electric vehicle charging stations around the City—a way to enhance our climate friendliness and our air quality for public health. We have a lot to be proud of in South Bend, but the reality is that our City does not operate in a vacuum. I have already spoken of the importance of the county on issues from public safety to tax assessments. We are also closely engaged with the State. While we remain concerned about some actions by the legislature to preempt local authority, we also have maintained a good partnership with the state on economic issues. I have spoken with Governor Holcomb and his representatives on how South Bend could benefit from the new provision for “Opportunity Zones” in the recent tax bill. And we were thrilled to receive enhanced road funding from the State of Indiana through bold action on gas tax revenues, including enhancements to the Community Crossings program that helped us pave an extra ten lane miles. When it comes to the federal government, we will continue to look for partnerships—though it may not surprise you to learn I am no longer a frequent visitor at the White House. From the local DREAMers who have spoken out about their desire to remain in this community as taxpaying, loyal Americans, to residents who are affected by policy changes to Medicaid and the Affordable Care Act, we will do everything we can locally to support residents here impacted by policy actions—or inactions—in Washington. These concerns go beyond policy. Our society seems increasingly frayed, and many are wondering where they fit in today’s America. In the face of increased hate crimes, certain American families are wondering if they are even welcome. In the face of new bullying and school violence, American children are wondering if they are safe at school. The solutions to these problems will come, not from Washington, but from communities like South Bend. No matter what you see on cable news, we have the power—and the obligation—to be the kind of safe and welcoming community everyone hopes to live in. Through individual acts of kindness and shared local decision-making, we can better live up to America’s ambitious and inclusive creed right here at home. That is the virtue of living in a City that is guided by values, not just interests. When it comes to social change, nothing gives me more hope as a leader than to see the empowerment of young people. From the South Bend Youth Task Force, now in its fourth year, to the students around the nation organizing to demand action on school and gun safety, young people in this community have been an inspiring voice for change. They have seen to it that tragedy and apathy will never have the last word. They are asking for nothing more than adults living up to our obligation to keep them safe and create more opportunities for them, and they deserve our support. And we’re going to need young people—and people of all generations—engaged in preparing for the many changes ahead. Yesterday, I met with the Advisory Board of the U.S. Conference of Mayors and introduced the Mayors Task Force on Automation, which I will be chairing. Automation technology has the potential to bring both enormous disruption and great benefit to our society, and that certainly includes South Bend. This is no longer a theoretical discussion. As I shared earlier, we are already using automation in our trash trucks today. As we speak, autonomous vehicles are delivering pizza in Miami and picking up Uber passengers in Pittsburgh. It’s too soon to know all of the impacts of the coming wave of automation, with self-driving cars just one component. 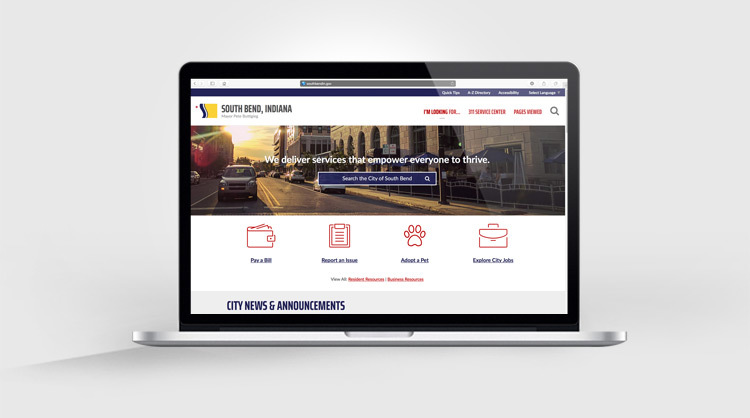 But we do know that South Bend must prepare for the changes coming to our economy, our households, and our city operations. There will be risks, as our economy shifts to accommodate the arrival of new jobs and the departure of old ones. But there will also be tremendous benefits, from enhanced mobility for seniors, to new possibilities for land use more attractive than surface parking lots. Our job is to make sure we experience more benefits than downsides. Fortunately, South Bend has what it takes to prepare for the uncertain future: strong neighborhoods, forward-thinking leadership, honesty about our challenges, openness to new ideas, and a healthy relationship between the academic, private, social, and public sectors. Most importantly of all, we have a sense of shared purpose in continually becoming a City where everyone can thrive. The year ahead will bring us forward yet again as we enter the final third of a decade that will go down in history as one of the most consequential and transformative in the life of our community. And with your help and commitment, what we have seen to date is just the beginning of the extraordinary story of perseverance and achievement in the hometown we love.